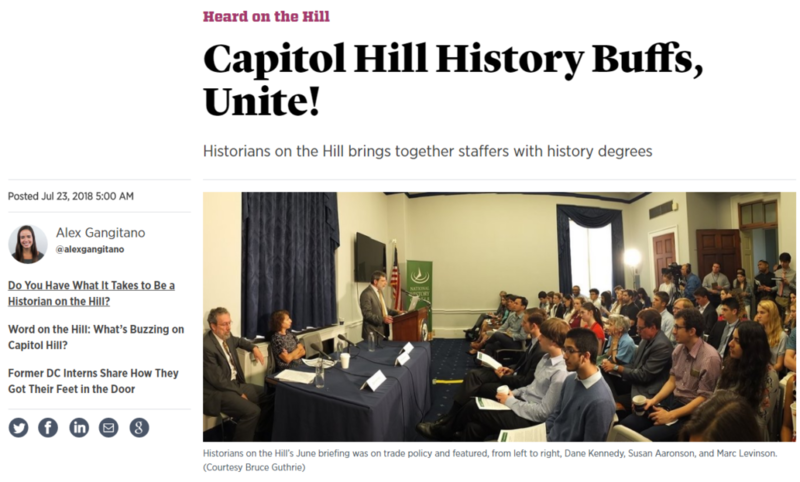 Our group, Historians on the Hill, was recently featured in Roll Call. Are you a staffer with a degree in history? Consider joining us to bring historical perspective to contemporary concerns. You can check out the article here. You can sign up for Historians on the Hill here.